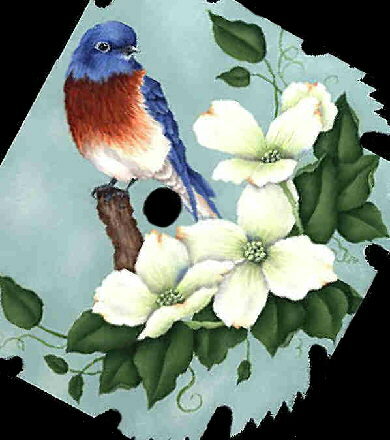 Most are original works done for custom orders. lick here to add your text. 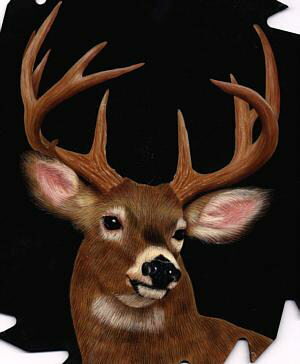 Deer painted from photo- gift to my daughter & son in law for their anniversary. 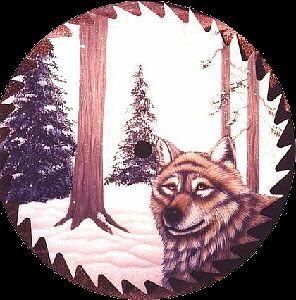 Wolf saw blade inspired by Karen Hubbards pattern. 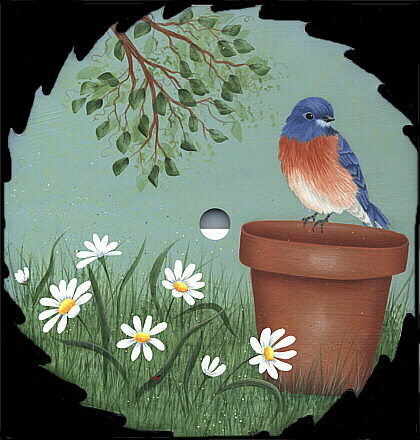 Gifts for Bluebird enthusiasts- adapted from another artists oil patterns. Horse Farm saw. Painted as a wedding present for customer's brother. 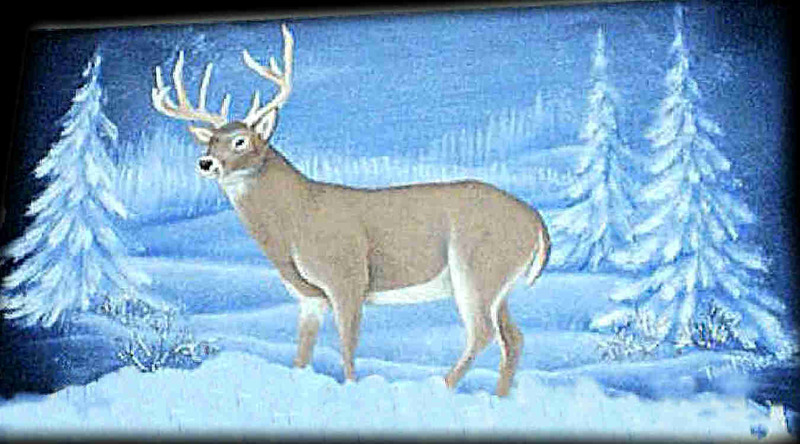 CA retirement gift to hang on a cabin door. Painted from photo of new cabin just built in Canada. 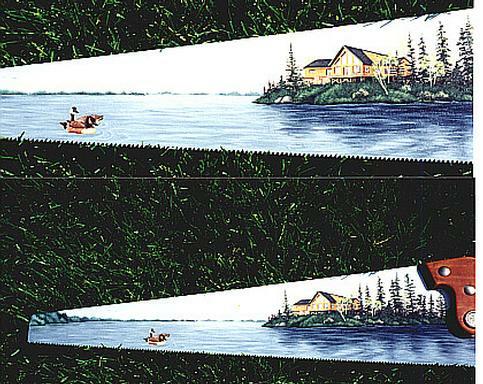 47" long 2-man saw with Alaskian Scene. Custom ordered Bear sawClick here to add your text. 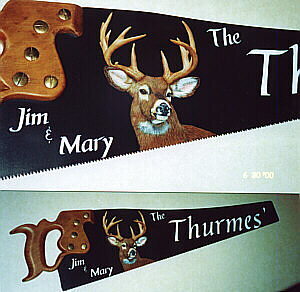 2 man Deer saw ~ personalized~ hangs above customer's garage door. 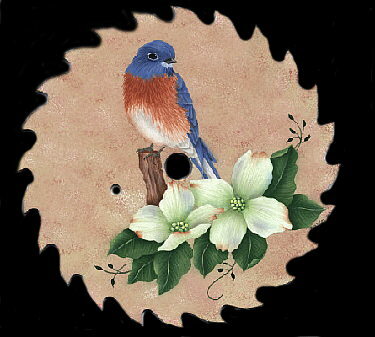 See other personalized saws below.re to add your text.